I can still see the picture from my earth science textbook from 4th grade illustrating ecosystems and how everything in the natural world is connected. There was the underwater life where the big fish was eating the little fish, and the clouds above producing rain, and carnivores nibbling on smaller carnivores and herbivores nibbling on berries. And then there was the human beings spraying green science-fiction chemicals on everything. No, wait. I don’t remember seeing humans in that picture at all and I think that’s where the trouble lies. Somewhere along the line, we decided that we aren’t in the picture, we just draw the picture. Where did this concept come from? That we can just be plucked from our ecosystem, lifted right out into another plane of existence. Conveniently we have also decided that we can lift various species out at our whim, as well. I hear my dad chortling at me from the afterlife as I actually shed a tear over these bees. “Why don’t you go hug a tree or something? Save the whales, Kris. Become a vegan.” I can hear him now. But it is just too sad that what finally draws our attention to the bees is the possibility of our favorite foods going away, rather than just the fact that we are killing off a species with our idiot chemicals. Don’t think for once second we would be this freaked out if it was the earwig that was threatened. And shame on me because damn right, I want my blueberries too. I care about the luxuries of non-buggy, plastic-looking summer fruit in winter and that is such a 1st world problem. But at least I know when I’m being an obnoxious 1st World brat. We know exactly what needs to be done, so there is no excuse to keep at destructive practices so that we can have our cushy -strawberries in winter-unbruised gigantic apples-abundant corn crop- survival. This issue has become so depressing that I now want my own garden, which is saying something for someone who can barely handle one potted tomato plant and doesn’t have a yard. I don’t want to think about whether I am killing bees by not buying pesticide/fungicide/insecticide-free produce. I don’t like that my salad is contributing to the bees possible extinction. And I recently learned that organic produce might not even be free of gross-icides and I don’t like that either. I don’t like that Colony Collapse Disorder was the name chosen for what is essentially Consequence of Human Interaction Disorder. Collapse implies the colonies mysteriously dissolved from some weak internal structure. When we all know the biggest cause of their trouble is that big, human black boot coming down on them from the sky. So here is my naïve, simplistic, tree-hugging take. I’m thankful that Time is drawing more attention to the issue. Trying to analyze and solve the problem= Good. Spending a fraction of a second thinking about: 1. Money and 2. Convenience= Bad. When dealing with a problem as far-reaching and spectacularly important as keeping honeybees alive, once there is even a shadow of an idea of what’s causing the problem, you fix it. It is disaster relief. Call in every available resource nationally and internationally. We must find a way to stop using the pesticides, herbacides, fungacides, whatever we have used to make our lives more convenient, cheaper, and tastier at the cost of destroying our environment. We must find a way to support the farmers who are relying on those toxins and give them alternatives. Restructure, refinance, redesign the way we do growing. We must make it illegal to use chemicals on our lawns and fields. We must grow our own gardens, buy local. I’m just exhausted from reading stories about how we are trashing our world. Enough, already. Just who do we think we are? Did you know that it’s legal to keep bees in Madison if you adhere to a few regulations? If I had a backyard, I’d be keeping some myself. Here’s the link to an article about the ordinance. Find a few things you can do to help bees with this article here and a PBS article here. 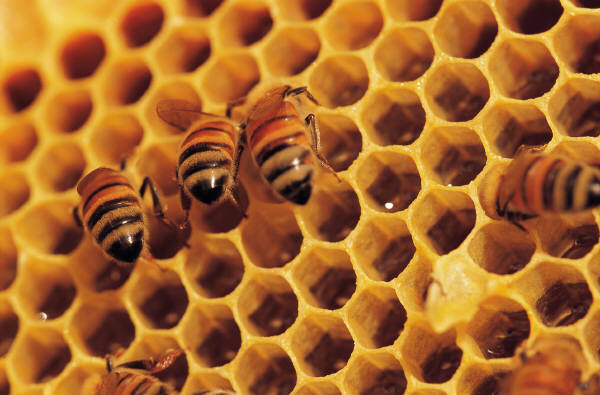 Find resources for being a Dane County beekeeper here. This entry was posted in life in general and tagged environment, future generations, nature on August 12, 2013 by skylikeme.